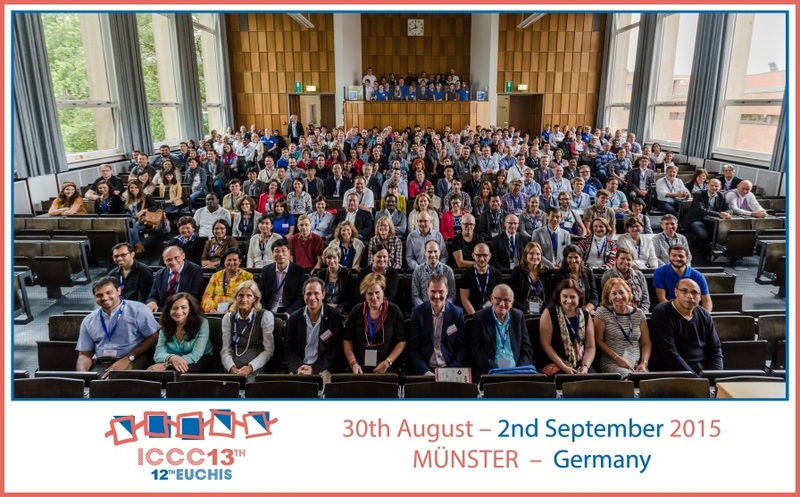 We regret to inform you that the 14th EUCHIS conference originally planned for summer 2019 in Cork, Ireland, had to be shifted to 2020 at a place still to be decided. More information will be given here shortly. Chitin is a polysaccharide found in the outer skeleton of insects, crabs, shrimps, and lobsters and in the internal structures of other invertebrates. Chitin is composed of ß(1-4) linked units of the amino sugar N-acetyl-glucosamine, and is the main source of production of chitosan, which is used in a number of applications, such as a flocculating agent, a wound healing agent, a sizing and strengthening agent for paper, and a delivery vehicle for pharmaceuticals and genes. Please follow this link (PDF) to read the statutes (last updated 2017/06/02). Formulate recommendations and guidelines in the fields of standardisation and nomenclature. Aid the dissemination of such studies through the organisation of symposia, workshops, congress or any other form of assembly, primarily in Europe. Encourage and facilitate exchanges between European scientists working in the field of chitin. Develop links with other societies having similar or related interests. Due to the shift of the next EUCHIS conference (see Events), call for application for travel awards is suspended for now. The European Chitin Society provides poster awards for the posters presented at the EUCHIS meetings since 2006. The awards will be announced at the closing ceremony of the conference, and the award will subsequently be sent to the presenting author of the poster presentation. It is the responsibility of the authors of the awarded poster to reach an agreement on dividing the awarded money among the authors. A summary of the awarded poster presentation together with a brief personal profile (including a photograph of the winner) are to be submitted by each prize winner to the EUCHIS secretary for publication in the EUCHIS Newsletter. The Braconnot Prize is awarded for outstanding contributions and achievements in chitin science and for special merits in the promotion of EUCHIS. The Braconnot Prize consists of a certificate with the name of the recipient and a cheque. The Braconnot Prize is awarded every two years during the regular scientific meetings of the EUCHIS. The recipient of the Braconnot award must be no more than 36 years old during the year of the award. Every member of EUCHIS has the right to suggest an awardee to the President of the committee at any time. This suggestion must be accompanied in written form by a C.V. of the candidate, an abstract (max. 3 pages) of a thesis or publication, and a letter with arguments why the suggested candidate should be eligible for the Braconnot Prize. Candidates may not suggest themselves. The recipient of the Braconnot Prize will be selected by a committee consisting of the President of EUCHIS together with four of the EUCHIS board members selected by the President. The applicant must be a member of the EUCHIS. The committee selects the recipient of the Braconnot Prize on the basis of the doctoral/PhD thesis which has been published in an international, peer-reviewed journal in the last three years (the applicant must be the first author of the paper), and which is also announced in the EUCHIS Newsletter. The selection of the recipient by the committee is non-debatable. The Braconnot Prize may be shared by not more than two recipients. The supervisor of the thesis of a candidate who has been shorlisted may not be a member of the committee. In case of lack of funds or when no suitable candidate can be found, the Braconnot Prize may be cancelled for a particular year. As part of the award, the registration fee of the winner will be waived and travel expenses will be paid in order that the winner can attend the meeting. In return, the winner has to deliver the “Braconnot lecture” based around the topic of his/her thesis and publications to date. The monetary part of the Braconnot Prize would only be given if the winner attended the meeting and delivered the lecture. Failure to do so would not prevent him/her being named as the winner but would not receive the prize money. Amendments and further details of the rules are determined by the committee. These rules are a part of the Statutes of The European Chitin Society. This series of chitin proceedings books was initiated in 1996 following the 1st International Conference of the European Chitin Society, and since then 13 Volumes have been published. Volume I. Proceedings of the 1st International Conference of the European Chitin Society. Edited by A. Domard, C. Jeauniaux, R. Muzzarelli & G. Roberts. Jacques Andre Publisher, 1996, Lyon. ISBN 2-907922-40-8. Volume II. Proceedings of the 7th International Conference on Chitin & Chitosan and 2nd International Conference of the European Chitin Society. Edited by A. Domard, G. A.F. Roberts & K.M. Vårum. Jacques Andre Publisher, 1998, Lyon. ISBN 2-907922-57-2. Volume III. Proceedings of the 3rd Asia Pacific Chitin and Chitosan Symposium. Edited by R.H. Chen & H.C. Chen. The National Taiwan Ocean University, 1999, Taiwan. Volume IV. Proceedings of the 3rd International Conference of the European Chitin Society. Edited by M.G. Peter, A. Domard & R.A.A. Muzzarelli. Universitat Potsdam, 2000, Potsdam. ISBN 3-9806494-5-8. Volume V. Proceedings of the 5th Asia Pacific Chitin and Chitosan Symposium. Edited by K. Suchiva, S. Chandrkrachang, P. Methacanon & M.G. Peter. 2003, National Metals and Materials Center, Bangkok. ISBN 974-229412-7. Volume VII. Proceedings of the 9th International Conference on Chitin & Chitosan. Edited by I. Boucher, K. Jamieson & A. Retnakaran. 2004, Montreal. Volume VIII. Proceedings of the 6th International Conference of the European Chitin Society. Edited by H. Struszczyk, M. G. Peter, A. Domard & H. Pospieszny. 2005, Institute of Plant Protection, Poznan. ISBN 83-89867-25-7. Volume X. Proceedings of the 8th International Conference of the European Chitin Society. Edited by S. Senel, K.M. Vårum, M.M. Sumnu, A.A. Hincal. 2007, Antalya. ISBN 978-975-491-250-0. Volume XI. Proceedings of the 9th International Conference of the European Chitin Society. Edited by F. Rustichelli, C. Caramella, S. Senel, K.M. Vårum. 2009, Venice (PDF). Volume XII. Proceedings of the 5th Iberoamerican Chitin Society. Edited by T.T. Franco and M.G. Peter. 2010. School of Chemical Engineering, University of Campinas, Brazil. ISBN 978-85-64131-00-2 (on CD). What are the benefits of beeing a member of The European Chitin Society? be eligible for the award of the Braconnot prize for outstanding research in the field of chitin. What classes of memberships are there and what does each cost? The annual membership fee is due in Euro only. Annual membership is always from January 1st – December 31st each year and the annual fee for the complete year is due regardless of the day of entry. Active member: a national of any European state who is qualified by their interest and competence in the field of chitin: EURO 35.-. Associate member: any person qualified by their interest and competence in the field of chitin but who is not a national of a European state: EURO 30.-. Student member (either Active or Associate depending on nationality): on providing proof of student status and for two years after completing academic education: EURO 16.-. Collective member: societies, companies or other organisations in Europe: EURO 180.-. Donor member (Active) (not open to students): single payment of 10 times the regular annual fee. This guarantees lifetime membership. Donor member (Associate) (not open to students): single payment of 10 times the regular annual fee. This guarantees lifetime membership. Donor member (Collective) (not open to students): single payment of 10 times the regular annual fee. This guarantees 15 years membership. Any questions or comments are welcome. Please use one of the following contact people for posting a message.